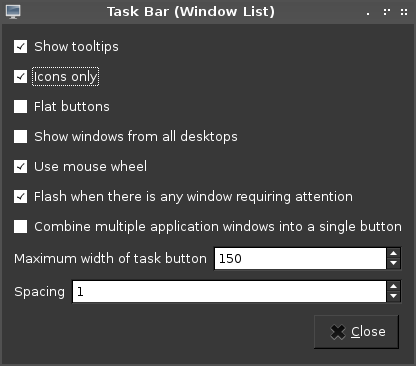 If you want to change windows list / task bar on LXDE into Smooth task (KDE) style, dockbarx (gnome), or win7 windowlist. LXDE have this feature before that style is exists. By default windows list or task bar on LXDE desktop after you installing on archlinux, it looks like this. 1. 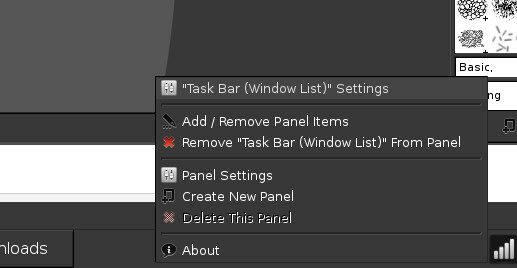 Right Click on Window List / TaskBar panel. 3. The window will popup, then check icons only.